One of the most contentious things about taking an Uber, leaving a tip after your ride, can pose a moral dilemma for customers. When it was founded, the ride-share monolith maintained that gratuities were included in your base fare, but many of the company’s drivers disagree, arguing that yes, a little extra compensation goes a long way when you’re paid an middling hourly wage for shuttling drunk people home late at night. 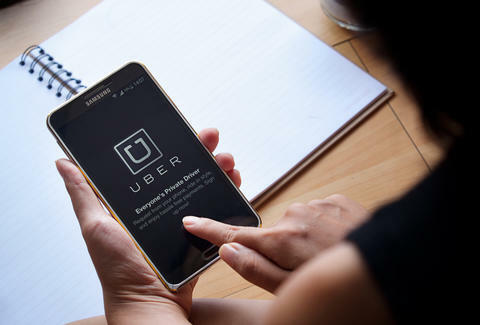 According to a survey conducted by Business Insider, which queried more than 40 Uber and Lyft drivers, rank and file employees of the world’s largest ride-share companies basically don’t make enough money, and think a dearth of tips is partly to blame. One Uber driver who spoke to BI lamented the paltry hourly rates he sometimes earns, which he said could plummet to $4 an hour when business is slow. "Sometimes it's as low as $4 an hour, and that's before wear and tear, gas, routine maintenance, and now regularly replacing my brakes. On a really good day, I might make $10 per hour, and there's the very rare occasion I might make up to $25 in an hour, but that's not per hour. We provide a service, yet you think we don't deserve tips." The consensus around tipping is basically universal, according to the survey. Why Uber drivers might be especially fuming can make sense, particularly in light of some the company’s newest programs, like Uber Eats, which sees drivers delivering food in addition to their traditional on-demand taxiing. In essence, drivers claim they’re being asked to do more for less, and aren’t seeing the fruit of their labor materialize in any enduring way. In May, the tipping debacle was the subject of a labor dispute in California and Massachusetts, The New York Times reports, with a settlement declaring Uber drivers free to ask for tips. The company also had to change its official policy on tipping in those states as part of the ruling. While Uber is still the flagship ride-hailing service, many drivers note that they prefer its closest competitor, Lyft, because of its in-app tipping function. While Uber has relayed its sage wisdom on how not to get banned from the service, it doesn’t appear keen on offering a tip-ready app update anytime soon, so the time might be nigh for another driver-revolt.